Sherlock Holmes and Irene Adler. . Wallpaper and background images in the Sherlock Holmes and Irene Adler club tagged: sherlock holmes irene adler rachel mcadams robert downey jr beauty love. 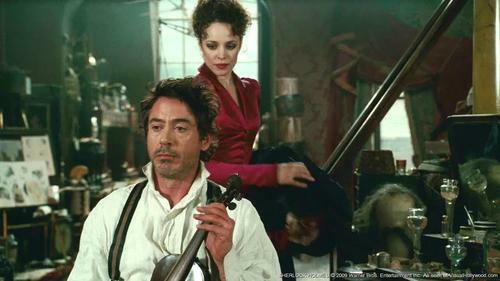 This Sherlock Holmes and Irene Adler photo might contain pianista, accompanist, accompanyist, and acompanhante.